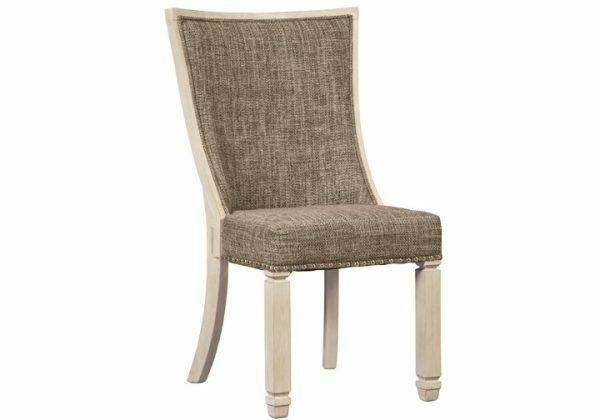 Dine in comfort and savor the rustic charm of the unique Bolanburg scoop back chair. Contoured seat and back cradle you in cushioned comfort while lattice peek-a-boo detail serves it up in style. 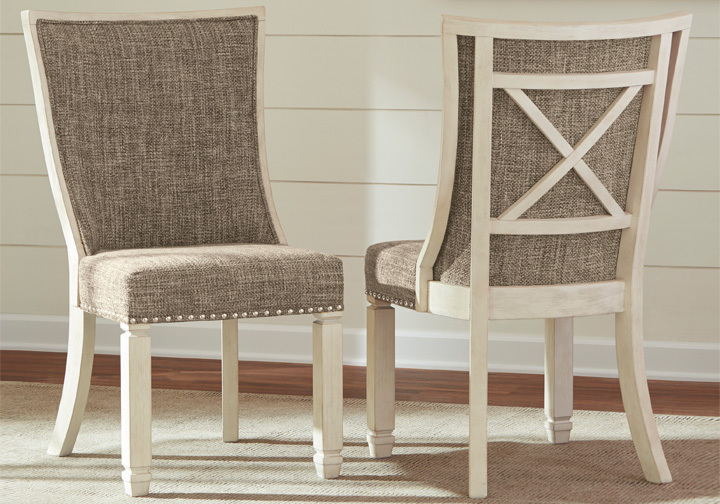 Textured two-tone finish provides a vintage look that’ll be at home in any setting.